As part of their “Faces of Russia” series, Russia Today has filmed a fascinating episode in Buryatia. It covers both Buryat and Soyot* culture, and reveals some of the amazing natural sites of our part of Siberia. Apart from the poor pronunciation of place names, it really does a good job of conveying the spiritual atmosphere of Buryatia. 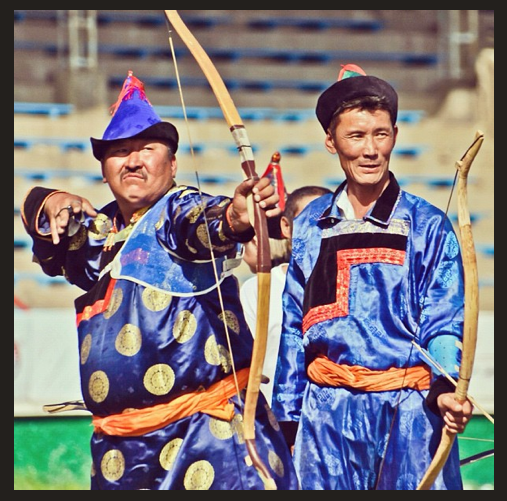 *The Soyot are a people Native to the southern part of Buryatia. They are one of several reindeer herding people who live in south-central Siberia. Thanks for the fascinating post. As a native Korean, it’s interesting to me why Russia Today has chosen to use a traditional Korean song called “Arirang” as the background music of these videos. Was it a mistake or do the Buryats sing this song as well? The former case would be a shame while the latter would be truly fascinating, suggesting some kind of tie between the Buryats and Koreans in ancient times. Woongki Ahn, Well, I am sure that Russian Today was just looking for some “Asian” style music for this story, and they thought that song would do the trick. BUT, having said that, there is a connection between the Buryat and Koreans. Genetically they are very close. My wife who is Buryat, often gets mistaken for being Korean. Check these links out: http://www.iacd.or.kr/pdf/journal/11/11_9.pdf and http://www.ncbi.nlm.nih.gov/pubmed While the foods the Buryat eat differ greatly from Korean, there certainly are similarities in dress and culture, especially respect of elders. Thanks for your reply. The first article you sent me was written by a long-time acquaintance of mine, Mr. Choi, so it was very nice bumping into his name after a while. : ) I, too, noticed that the Buryats look very much like us Koreans. I figure that it’s because of the common Mongolian root we share. This makes me want to visit Buryatia all the more. Hopefully soon! Thanks again for a great blog! Well, come on out! We would love to see you here! Have you done a lot of traveling? Have you been to Russia before? Lake Baikal itself is totally worth the trip. Buryatia is an amazingly beautiful place, Ulan-Ude is a mixture of fine buildings and great culture, but it does have it’s down side. Parts of it are dirty, and a lot of the city is poor. That is the reality of Siberia. I for one, would love to visit Korea, and learn more about her history, and see some historical, cultural and natural settings. Someday I hope to make it. I’ve been to Russia only once but that time didn’t make it to Siberia. After I polish up my rusty Russian and save up enough money, I will definitely visit Buryatia. Thank you for your invitation, and I also extend mine to you to visit Korea one day! Blessings to you as well and may God be with you in all your endeavors there! Ok let us know! Would love to meet you!